Every woman can be successful in what she does if she can generate the courage to give it a go. Self-confidence is a make-or-break attribute. If you dare to leave your comfort zone and explore different roles, you will discover new abilities you never knew you had. If you stretch yourself and confront challenges, you will grow. Only by making continuous learning an important part of your evolution you’ll know what you’re capable of achieving. Belief in yourself determines how you’ll make your life journey. My own skills were enhanced mainly through on-the-job learning and “the Power of Relationships” rather than through formal education. My overseas career left me no choice but to learn quickly, grasp the required skills, develop an understanding of different cultures (and of my own cultural baggage in dealing with them) and generate and channel sufficient determination to overcome the obstacles I encountered. I could have given up and gone home easily, but in persisting I became stronger while delivering tangible results. The senior leaders, mentors and sponsors who supported me during my career were crucial! They were all willing to share their wisdom, knowledge, skills and expertise and they all wanted me to be successful. One of them, Allan, had an amazing insight into the politics of an organization and helped me to navigate the nuances of it. He really helped me through tough times and showed me how to find the opportunities in the difficulties I was facing. Allan was also the one who took a chance on a young person who was struggling to find her niche. I cannot thank him enough for the belief he had in me 20 years ago. Having a mentor, sponsor or guide can make all the difference when you don’t know what to do or feel insecure. The “Power of Relationships” helped me to build self-confidence and leadership at moments when I felt that I did not have the right skills for a particular role or situation. They helped me when I needed a new approach or new level of thought. Now, nothing makes me more proud than watching my protégés growing and blossoming in their careers – proud that I worked with them or took part in their development. Had I not left my comfort zone many times throughout my career, I would not have made the achievements I’ve made and I would not be the person I am today. 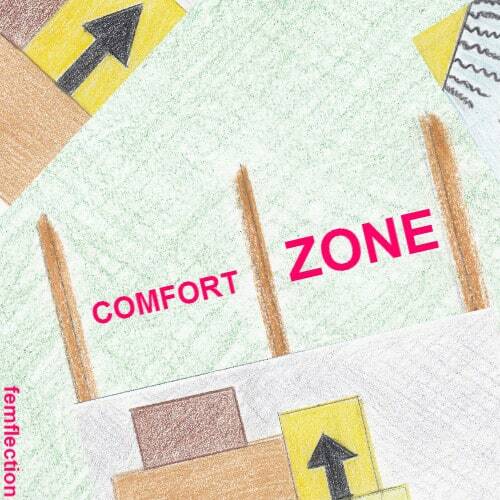 Leaving my comfort zone is and remains tough; sometimes I was (and I am sure will be) knocked down. I also had to make the necessary sacrifices. For me it is well worth. It beats standing still by far!